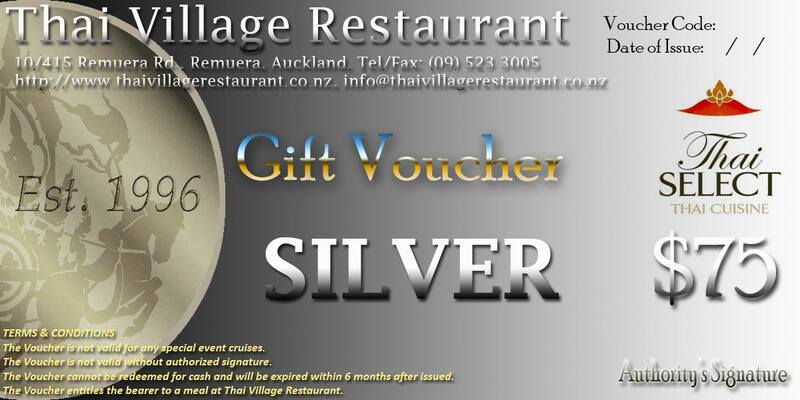 on 29 September 2015 Posted in thaivillage. 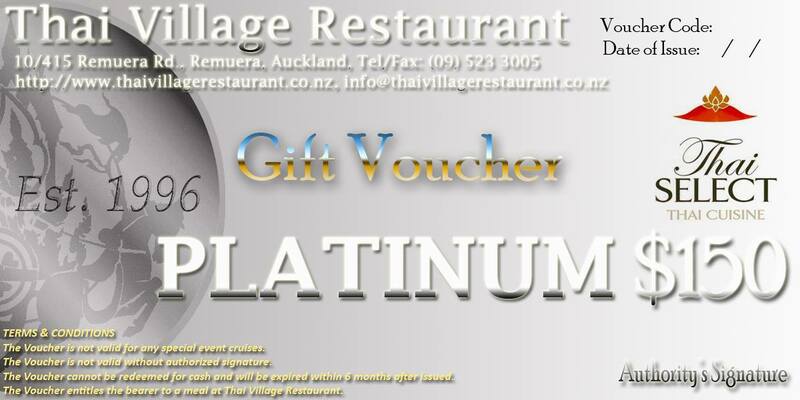 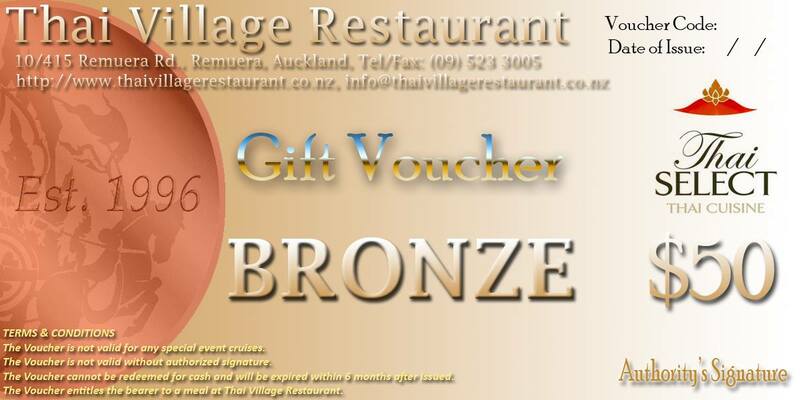 There are four types of vouchers by value: 1) Bronze ($50); 2) Silver ($75); 3) Gold ($100); and 4) Platinum ($150). 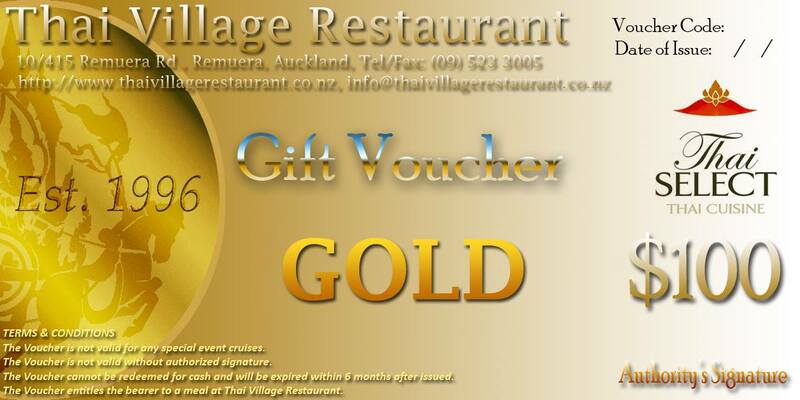 If you can't think of a present for someone, why don't you treat him/her/them a wonderful meal at our restaurant.